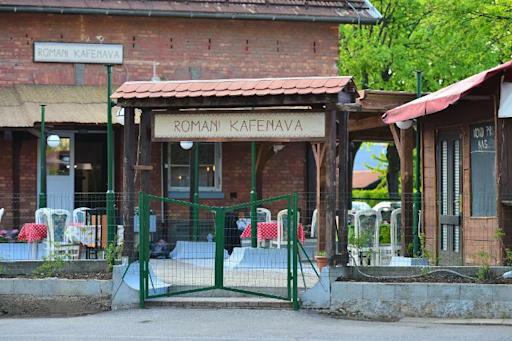 A new coffeehouse featuring Roma (aka “gypsy”) food has opened in Maribor, in northeast Slovenia. Their motto is enticing – “Come hungry and with an open heart”. photo by Jure Makovec on Yahoo, so you’ll recognize the place. You should go! Here’s the menu with pictures but the English link is apparently not up yet. Dober tek! (that’s Slovenian for bon appetit, in case you were wondering). Side note – I visited Maribor in 2012, when it was named one of that year’s two European Capitals of Culture. Most of the events for that celebration had already come and gone, but it was an interesting introduction to a part of the world most folks, especially in the US, know nothing about. I really should finish up my blog post about Maribor. And now there’s a reason to go back, perhaps as a day out from Ljubljana, Slovenia’s capital, an energetic college town in the center of the country and one of my favorite Slovenian destinations. This entry was posted in All Suzanne's travels, Balkan Europe travel, Eastern Europe, Europe food & wine, News from Europe, Slovenia travel and tagged Come hungry and with an open heart, Jure Makovec, Maribor restaus, Maribor Slovenia, Maribor travel, Roma coffeeshop, Romani Kafenava, Slovenia travel. Bookmark the permalink.